You will be a midsummer nights dream in this wild floral bridal tiara. 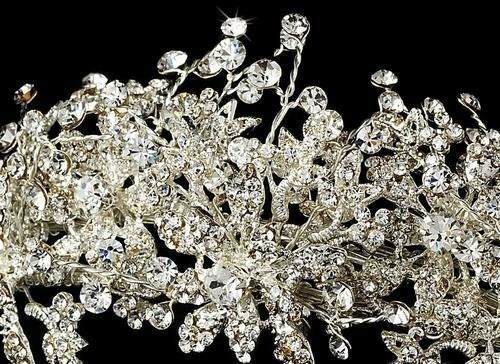 Sparkling rhinestones weave throughout the silver detailed vines and branches, the perfect addition to your wedding hairstyle. 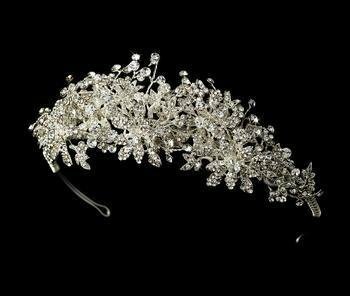 You will feel like a true princess wearing this gorgeous wedding tiara. The ornament measures 18 cm wide and 5 cms tall, and the piece ends in two loops, enabling you to fasten the tiara in your hair with bobby pins.